Mepex is a consultancy with high and specialized competence within waste resource management and recycling. 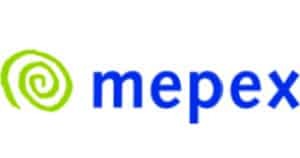 Mepex provides experience and knowledge in a range of areas, including waste management plans, waste sorting and treatment technology, collection and recycling systems, material flow and environmental analyses, implementation strategies, market analyses and technical revisions. Mepex has 14 full time employees that work on projects within these disciplines and who are involved in all stages of the value chain, from analysis and planning, to development and implementation. The public-sector accounts for 75 % of the turnover, and important customers include the Norwegian Environment Agency, the Council of Oslo, several waste management industries and the Norwegian Waste Management and Recycling Association. The combination of direct customer contact and a wide spectrum of knowledge lays grounds for our solid theoretical and practical competence. Mepex is fully certified in line with ISO 9001 and 140001 and strives to improve the environmental performance of our customers. FTIAB and Green Dot Norway – Design for Recycling Plastic Packaging (2016-2017): Development of a guide with information of ‘good’ and ‘less ideal’ choices for plastic packaging in terms of its recyclability. RoAF – Establishment of a fully automatized sorting plant for residual waste (2010-2015): Planning, development and optimizing of a sorting facility for residual waste, number one in Europe. Council of Tønsberg – Construction of underground waste systems (2015 -now): planning and preparation of underground waste collection systems. Council of Asker (2015-2016): Integrated plan for waste management and recycling of all types of municipal waste.